Life | Why do I blog? I've seen a few other blogs similar to this recently about other blogger's writing about their blogging past and the reason why they carry on and I have to admit that it has made me stop and think to myself, "Why do I blog?" and "What's the reason I KEEP blogging?". Every blogger that I read had different reasons and points to make and although I agreed with many, I thought I would write my own personal post as to why I blog. I remember starting this blog on a Thursday afternoon back in June 2013. It was a few hours after I finished work and I was back in front of my computer reading other blogs. I'd been reading other blogger's websites for a few months before this and I remember thinking that I really wanted to join in as I had much that I wanted to write and talk about. 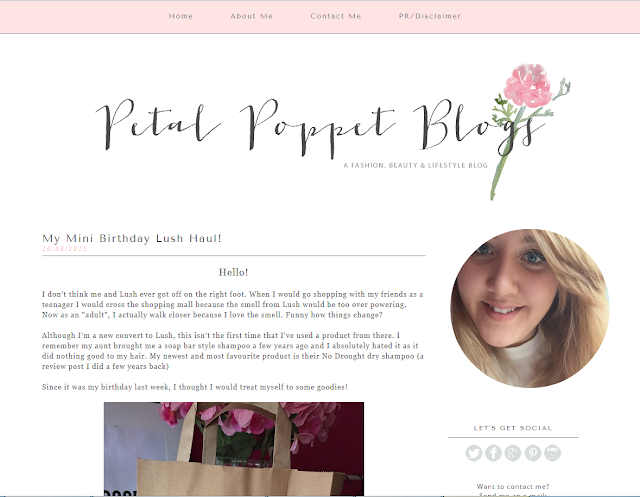 So I finally decided to take that plunge and set myself up my own website through Blogger. 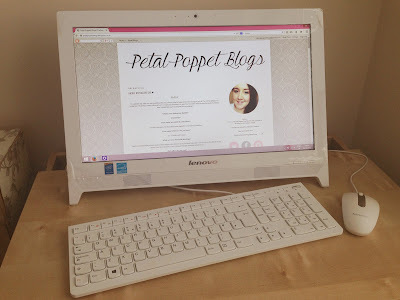 Originally I was going to call my blog "Natalie Ann Blogs" but I thought it sounded really boring and after much doodling down potentials names and nicknames, I eventually thought of Petal Poppet Blogs. The idea came from my dad as Petal and Poppet are two nicknames he used to give me when I was a little girl and I guess they both stuck with me! So it's very personal but no-one knows unless they know that fact! At first blogging was a lot harder than what I thought it would be. Who knew it would be so frustrating to take the perfect picture of a lipstick or to find of a catchy title for a post! And let's not even mention the getting to grips with Photoshop! Although I did really enjoy blogging, there was quite a few times when I wanted to give it all up as I thought I would never get any followers or "fame" with my blog. But like I said, that even if people didn't read it, I found that I really enjoyed blogging and that it was turning into more of a hobby. Obviously this was two years ago and over the time I have built up a small follower group and even a few friendships with other bloggers. This was something that I had hoped for but never really expected! Looking back on my older posts it's funny to see how much my writing and photography skills have improved and in a way it gives me a boost to carry on so I can look back again in another two years time and see where I am today. It's little things like that that make me continue! To conclude my little walk down memory lane, I blog for me. Although I love my followers and the friends I've made, I carry on blogging because of the way it makes me feel. As well as I love the way it makes me feel when I see my views go up or when I read all your lovely comments on my posts, I also love how more confident it's made me. I originally was going to keep this blog quite anonymous but over the weeks and months, I started to get more friendly and open about myself. And that's down to blogging! I honestly can't see myself stopping PPB any time soon as it really does bring too much happiness. 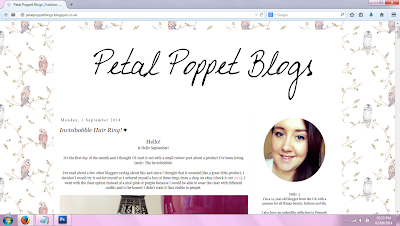 Hopefully all you guys can help me carry on my little blogging journey! Please enter my giveaway for a chance to win a goodie bag! Great post Natalie! I still keep my blog fairly anonymous in real life, but I love being able to chat with and get to know other bloggers. This is lovely, Natalie! It's always good to remember that blogging should be fun! Not this horrible task that I dread coming to. I love my blog, but sometimes it can be so stressful!